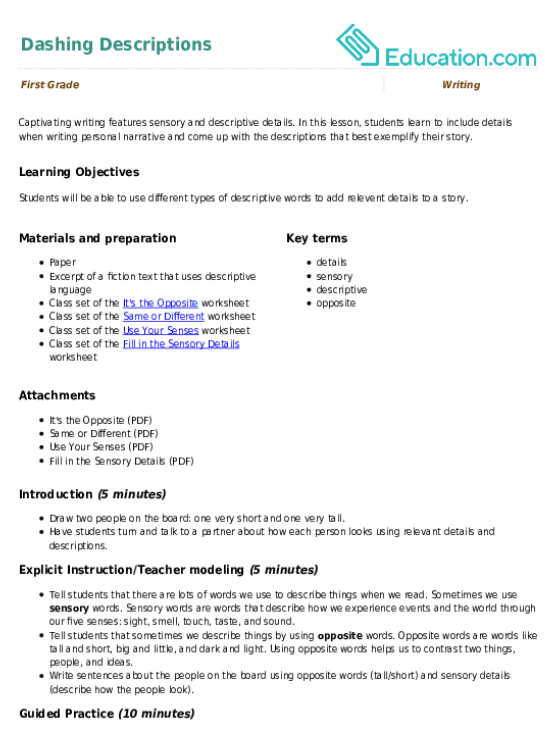 This lesson can be used as a pre-lesson for the Use Your Mind and Visualize!Lesson plan. Students will be able to describe a picture using their five senses. Students will be able to use sensory details in a sentence level context using sentence frames for support. Activate students' background knowledge by having them turn to a partner and share something they see in the classroom. Take students on a picture walk through a book. As you flip through the pages, have students raise their hands to share things they see. If they don't know the name of something they see in the text, encourage them to point to the picture and/or use their home language. Hand out the Vocabulary Cards to students. As you go over each word, have students locate the card for the word you are reviewing. Tell students when we look for things we See,We are using our sense of sight. Explain that SensesHelp us to learn about the world around us. For example, when we notice how things sound, we are using our sense of Hearing. There are five senses. We use our senses when we hear, see, smell, taste, and touch. Look at one of the pictures in the book you used for the picture walk. 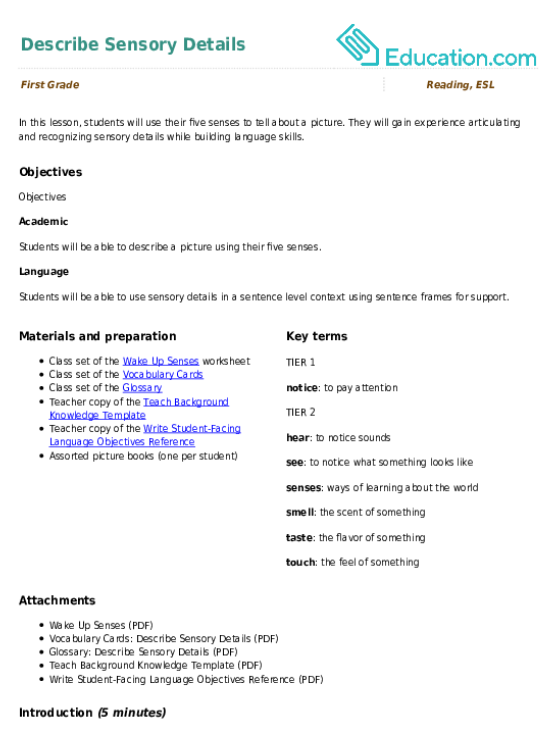 Show students the Wake Up Senses worksheet. Think aloud as you think about how your five senses might be used if you were in the picture in the book. 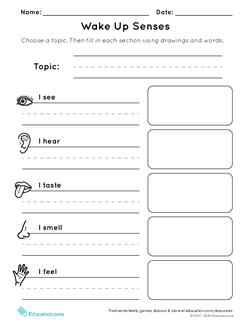 Fill out the worksheet, drawing pictures to describe how you might use each sense. Write words to complete the sentences. Hand out the worksheet to students. Have them find a picture in a book to use when filling out their own worksheets and completing their own sentences. Have students work in pairs to discuss how they might use their five senses if they were in the pictures they chose. 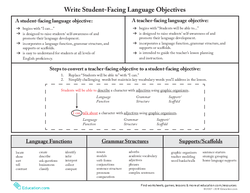 Ask students to use the sentence frames in the worksheets (and the sentences they wrote) to guide their discussions. Encourage students to show each other their pictures and use the following sentence frame to anchor their discussions: "In this picture there is ____. 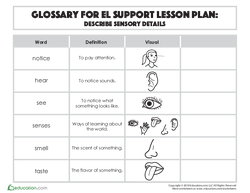 Allow students to use sensory words in English or home language (L1). 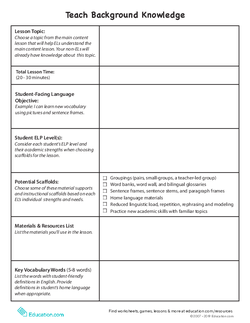 Allow students to create sentences in teacher-led small groups. Encourage students to use adjectives when completing their sentences. Have students look at the same picture and compare/contrast their descriptions with a partner. Why is it important to use our five senses? "It is important to use our five senses because ____." Which sense was easiest for you to think about? Why?
" ____Was easiest for me to think about because ____." Which sense was hardest for you to think about? Why?
" ____Was hardest for me to think about because ____." Have students popcorn share one of the sentences from their worksheets with the class. 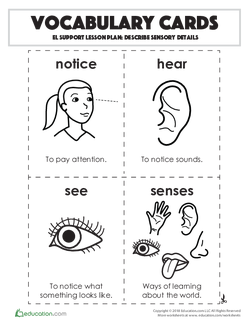 They will gain experience articulating and recognizing sensory details while building language skills. Captivating writing features sensory and descriptive details.